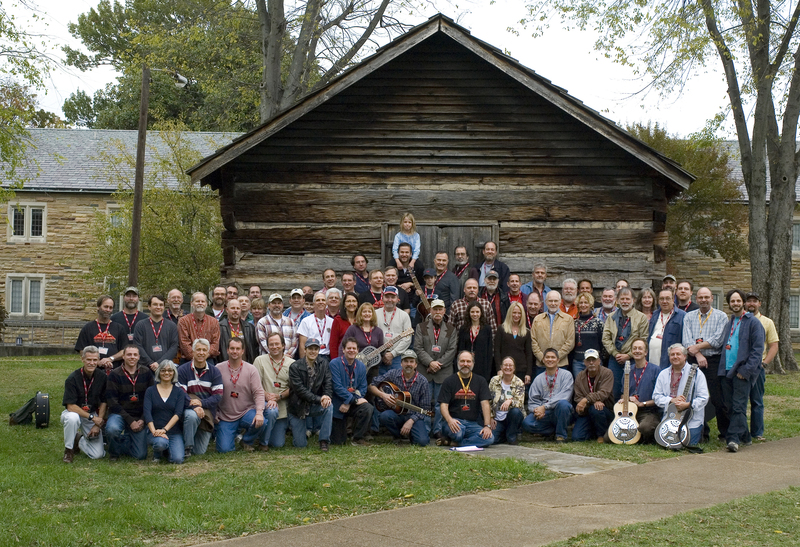 To download a high-res version of the group photo, click here. Visit Adam Frehm's gallery of ResoSummit 2007 photos. 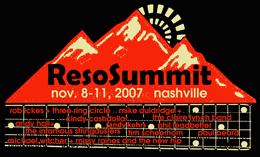 The first-ever ResoSummit (Nov. 8-11, 2007) is now history. By design, it was Total Dobro Overload - with a great faculty lineup (Rob Ickes, Mike Auldridge, Phil Leadbetter, Cindy Cashdollar, Randy Kohrs, Michael Witcher, Andy Hall, and special guest Jerry Douglas), two luthiers extraordinaire (Tim Scheerhorn and Paul Beard), and nightly concerts at The Station Inn featuring the dobro in diverse musical genres: Three Ring Circle, The Infamous Stringdusters, Mike Auldridge with The Claire Lynch Band, and Missy Raines & The New Hip. Together, we infused Scarritt-Bennett's Fondren Hall with some cool vibes, and recorded a veritable Dobro orchestra at The Tracking Room. If you're one of the 80 dobro players who attended as a participant, thanks for bringing your enthusiasm and good will to this event. You're proof that the Dobro "chooses" very special people! Please check out the Friends & Sponsors page to see who the great folks were who helped make the first ResoSummit possible. We organized this photo shoot on mid-afternoon on Sunday, and some participants were no longer present. We'll try hard to get everyone in the 2008 photo! You can download a high-res version of this photo from the link at left. 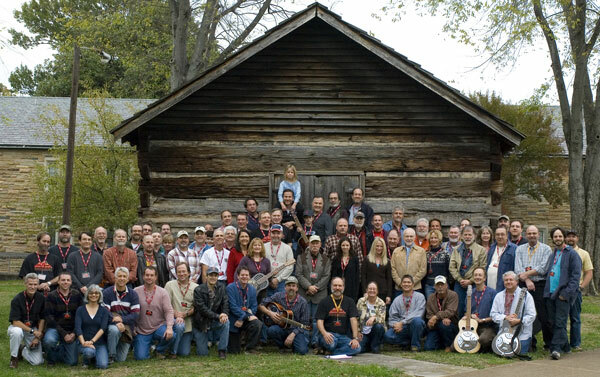 Here is Three Ring Circle's performance of "Brothership" at ResoSummit 2007 (The Station Inn, November 8). Note: If you aren't seeing the video image below, check the top of your screen for a security message and click to "Allow Blocked Content". Or, go to YouTube.com, search for "Three Ring Circle", and select "Brothership-Live at the Station Inn".